Since 1999, the Yiddish Summer Weimar has been presenting the varied aspects of Yiddish culture as part of the Summer festival in Weimar. This year, from 15 July to 12 August 2017, under the title The Other Israel: "Seeing Unseen Diasporas", the festival will be exploring the shared heritages and fundamental differences between the various Diasporas which make up Israel today, Moroccan Jews, Iraqi Jews, Ethiopian Jews and several other national and ethnic communities and traditions which operate as minorities within the skein of contemporary Israeli society. As part of a youth exchange program, Yiddish Summer Weimar 2017, he Arab-Jewish Orchestra from Haifa will forces with European instrumentalists whose programs will offer works of the European, Arabic and Jewish musical styles and genres. 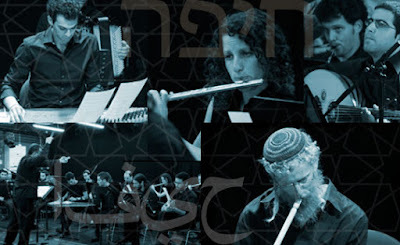 Voices of Peace, the Arab-Jewish choir from Jaffa will collaborate with Weimar's Schola Cantorum in Dr. Alan Bern’s musical settings of children’s poems by the Polish-Yiddish author Kadya Molodowsky (1894-1975). The poetry of Molodowsky, who was a Yiddish schoolteacher in Warsaw during the 1930s, is now required reading in Israeli schools – in Hebrew translation. This project will introduce the young singers to the Yiddish originals, in addition to versions in their own languages. Full information from the Yiddish Summer Weimar website.